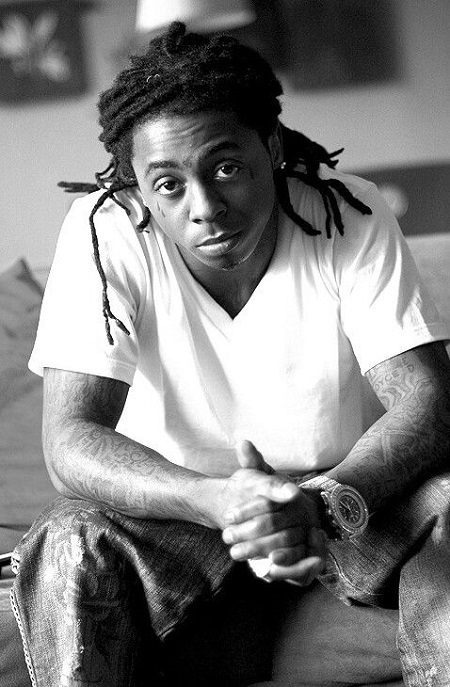 Lil Wayne full name Dwayne Michael Carter is a renowned rapper from the United States. He is popular in the world from his own albums like Get It How U Live!, Guerrilla Warfare and many more. Lil Wayne was a humble background born on 27th September 1982 as Dwayne Michael Carter, Jr. in New Orleans, Louisiana, the United States of America to parents of African and American descent. His parents got divorced when he was just in his early days. He is of American nationality and is ethnicity is African-American. He really had bad days when he was just a child. He revealed that he wrote his first song when he was just eight years old. The following year, he began working with Bryan Williams. He released his first album when he was just in his mid-teens. Lil Wayne was discovered by Bryan "Birdman" Williams and soon joined Cash Money Records as their youngest member. He then joined the group Hot Boyz. As of 2019, Lil Wayne has recorded over 13 studio albums, which have been well received by fans and music critics. During the course of his career, Lil Wayne has worked with other rappers like Eminem, Drake, Future, Rick Ross, Nicki Minaj, and many others. Lil Wayne has been involved in love affairs for more than five times in his life. He had a long term relationship with Antonia "Toya" Carter. She is a multi-talented personal, she is an author and also established businesswomen. She is also one of the famous television celebrities in the United States. They were in a relationship since their childhood days. She became pregnant in her early teens and she gave birth to their first child together in 1997. After being involved in a love relationship for a long time, they got married in 2004 but his married life was dissolved after being married for two years. After that, he had a relationship with celebrities like Lauren London, Nivea, Trina, and Sarah Vivan. He also had a son named Neal Carter with Nivea. Lil Wayne is considered one of the richest rappers of all times, along with Dr. Dre and Jay Z. He owns a house in Miami Beach, which has been put up in the market at the price of $10 million. How much is Lil Wayne's net worth? As of 2019, rapper Lil Wayne has an estimated net worth of $150 million. The American rapper has a collection of luxury cars in his garage, which includes a Bugatti Veyron, priced $1.5 million, an Aston Martin V12 Vanquish which has a market price of $298,000. Apart from these, Lil Wayne also owns a Bentley, Roll-Royce and many other luxury rides. Lil Wayne was humble background born as Dwayne Michael Carter, Jr. in New Orleans, Louisiana, United States of America to parents of African and American descent. His parents got divorced when he was just in his early days. He is an American and is black. Lil Wayne was born to African, American parents. His mother was a normal cook. His parents got divorced when he was just two years old. His poor family background became worse after that. His mother married for the second time after that. Though his background was full of sorrow and poverty, it didn't affect his career and intelligence. Lil Wayne reveled that he wrote his firs sing when he was just eight years old. The following year, he began working with Bryan Williams. Lil Wayne received his formal education from McMain Magnet School. While he was there he was one of the best students in the class. But he had to collect the money from his own to pay his tuition fees. He was good in singing at that time too, so he left that school and focused more on his singing. Though Lil Wayne was one of the best students in the class, he desired to give full time to his singing profession, so he left that school and signed a contract with Hot Boys. Actually, Hot Boys is a musical group formed by him and his fellow rappers. It just took one year for Hot Boys to release their first album. They released their first album, Get It How U Live!. It was not that successful. In 1999, they released another album Guerrilla Warfare, it was a massive successful one they broke various records in USA. After gaining some popularity from Hot Boys, he desired to continue on his own solo career. Lil Wayne released his first solo album in 1999 and it was titled Tha Block Is Hot. It broke several records on Billboard 200. Lil Wayne was in relationship with Antonia "Toya" Carter since his childhood days. They began dating each other from their high school days, she was his class mates and he was one of the best students in the class and it made an impression on her. Lil Wayne became father of his first child when he was only fifteen years old. Actually, he made his high school girlfriend Antonia Carter and she gave birth to their first child together in 1997. She gave birth to a sweet little girl. Lil Wayne had a long term relationship with Antonia "Toya" Carter. She is a multi talented personal, she is an author and also established businesswomen. She is also one of the famous television celebrities in United States. After being involved in love relationship for a long time, they got married in 2004. Though Lil Wayne had a long term relationship with Antonia "Toya" Carter, their relation as husband and wife didn't last as being boyfriend and girlfriend. Their married life came to an end after being married for just two years. After dissolving his married life with Antonia "Toya" Carter, Lil Wayne began dating news reporter, Sarah Vivan. They also had one child from this relationship. She gave birth to their first child together in 2008. It seems like Lil Wayne also had some fruitful relationship with American actress, Lauren London. The actual date when they start dating is unknown but they welcomed their first and only child together at the end of 2009. Lil Wayne became father for the second time in 2009 but with different girls. In the mid of 2009, it was reveled that he got engaged with Nivea but soon after that news came out that he became father for the third time with Lauren London. Two months later, his girlfriend Nivea gave birth to their first child together. Lil Wayne also had relation with Nivea for few years. She is the famous singer from United States. In 2009, it was also reveled that they got engaged but this relation was full of ups and downs. In June 2010, they officially concluded that they are not seeing each other anymore.